Rod Clee started in karting with his son Darren way back in 1983 in Darwin when Darren was a 7-year-old Rookie (this class now called Cadet 9). When the family moved to Adelaide a couple of years, later Darren continued his karting career and Rod, of course, was his loyal pit crew. 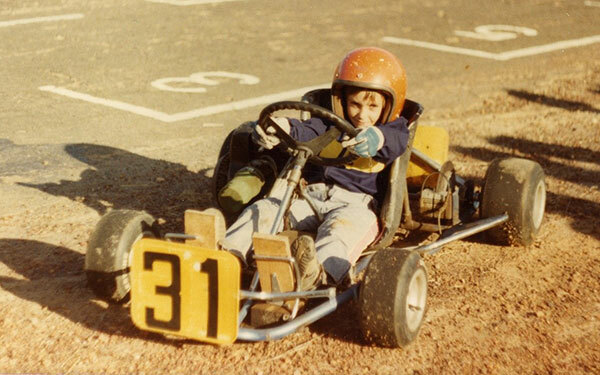 Rod’s son Darren started karting in 1983. How’s the hi-tech pedal extensions! Rod, being the great guy he was, naturally was always ready to help out with any job he was asked to do at the track, whilst also pit crewing for Darren. For years he would spend his race day mornings scrutineering karts, back when every kart had to be inspected at each event – image 50 or 100 or even 200 karts waiting to be inspected. In those days average city meetings were 100+. Rod’s son’s last race meeting was the November 2008 SA Open State Championship held in Whyalla. In 1999 Rod Stepped up to become a Steward and has worked almost every weekend since that time at meetings from very small closed club events to National Championships all over Australia. 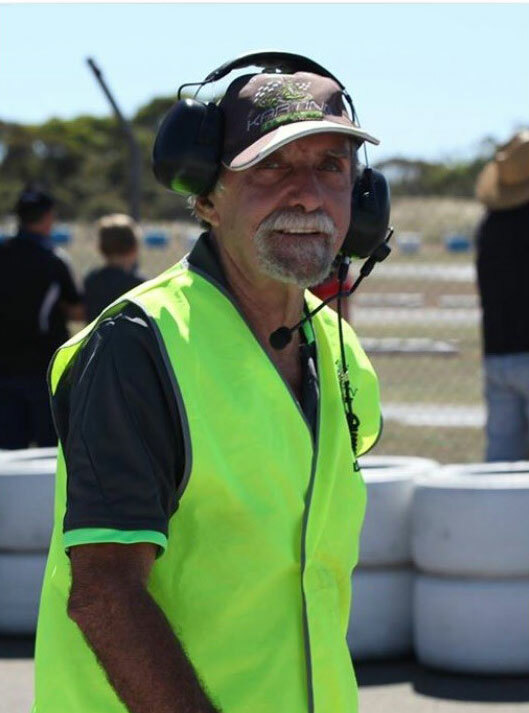 Rod has a CAMS License and has officiated on several occasions at Bathurst, The Bend, and many other CAMS events as a flag/corner marshal, Steward, scrutineer and Cato (alcohol tester). As all clubs know, to this day it is hard to find people who are willing to come to the track stand all day in the hot sun, freezing cold wind or pouring rain trying to keep the meeting running fairly for all drivers, pit crews and teams, then hearing drivers and parents complaining about trivial things that don’t really mean much in the scheme of things. Rod’s son raced for 25 years and in that time has encountered many highs and lows. In 1999 he beat 39 other Junior Heavy drivers to win a National Championship. In the 1997 Nationals at Gladstone Qld he qualified in second place then due to engine problems finished last. Rod has experienced many highs and lows and has empathy for drivers and parents that he deals with as a steward these days! Finding someone like Rod – a truly rare and dedicated person to have in any organization who has been willing to come out weekend after weekend for all these years – is very lucky for us in Karting! And you thought you had early starts! 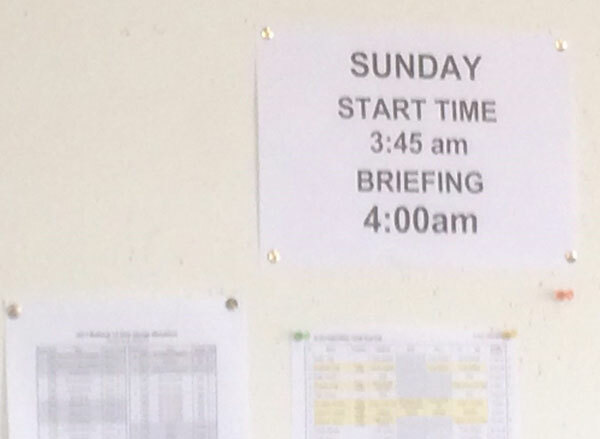 This is Rod’s ‘start work’ time at the 2017 Bathurst 12-hour. In 2000 when the State Officials Coordination moved up to be the National Coordinator, Helen Beauchamp took over in SA and Rod replaced her when she left in mid-2007. Rod had a visit from the National Stewards Coordinator and it was suggested he would make a good Steward’s Coordinator. Rod filled in until next AGM and continued to do this role until last year when he decided to move sideways and let others have a go. Rod continued to carry out these duties until recently as he has now stepped down from this role. He is staying on as a Steward as there are very few Stewards around these days and as a State, we are very thankful of him. Rod is also the Mt Gambier Delegate to the State Council, and for many years was the South Australian Co-Delegate to the National Association. Without people like Rod our sport would not exist. These guys and girls are willing to put their hand up and take on such roles and continue when the hard times hit and push through when times get tough. They are the back bone of our sport. The State of South Australia would like to thank you for all your time, hard work, persistence and patience throughout the years and look forward to having you around for many more to come. You also have the fantastic title of “2018 South Australian Official of the Year”. From all of us, congratulations and well done to you Rod Clee!